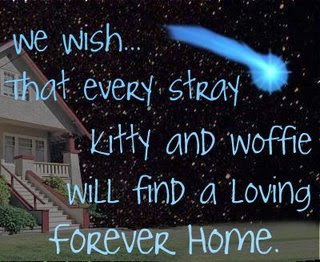 Now how could a cat with those gorgeous blue eyes not get her wish? When you're wishing for such big things like world peace and an end to hunger, I think it's great to wish for a little something for yourself, too! 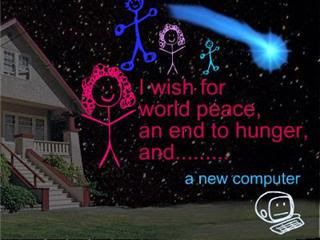 This is a fantastic wish!! 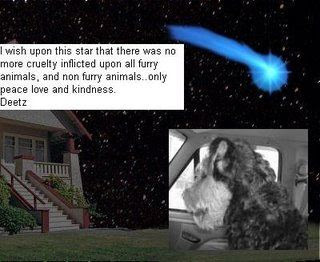 A beautiful wish from a beautiful dog. 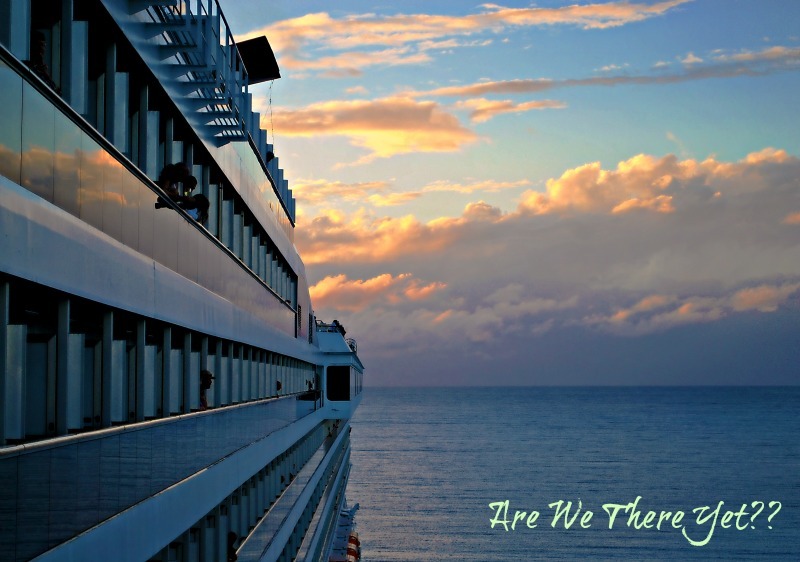 Peace, love, and kindness - who could wish for more? 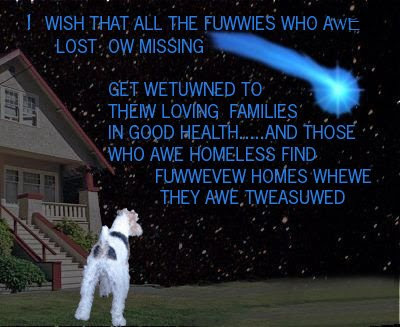 With the power of the cat blogosphere behind them, these wishes should come true! 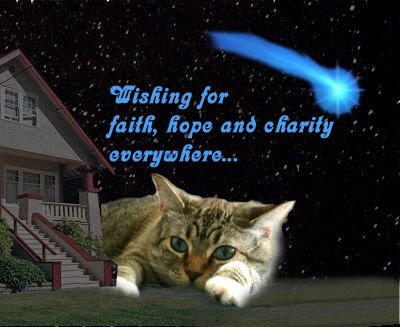 Another loving wish for other cats and dogs from three wonderful kitties. We have a lot of animal lovers - yay! Claudia of www.on-the-limb.com made one too. Go check her out. woofies and burfs, we jus put ours up if u wood like to check it out..mama changed it jus a little..